An investigation conducted by officials with the National Transportation Safety Board (NTSB) has determined that the driver of a Wal-Mart tractor trailer involved in a fatal crash in New Jersey that also injured comedian Tracy Morgan was speeding at the time of the collision. Investigators also have reason to believe that the driver, identified as Kevin Roper of Jonesboro, Georgia, may have been suffering from fatigue as police have already stated the driver had not slept for over 24 hours. Investigators analyzed data from the truck’s GPS tracking device and found that in the 60 seconds leading up to the fatal collision, the vehicle was traveling at approximately 65 mph. Officials say that the speed limit at the location of the collision was 45 mph, meaning the truck was going approximately 20 mph over the limit. The NTSB investigation remains ongoing, however based on the preliminary data that has been collected officials do not believe that the driver violated any of the federal regulations related to allowed driving time for commercial truck drivers. The federal limit for consecutive working hours is 14, according to an NBCNews.com article. Sadly, this tragic semi truck collision took the lives of three people believed to be close to Tracy Morgan, and Morgan himself suffered significant injuries in the crash, including a broken leg and broken nose. Given that the Wal-Mart semi truck crashed into the vehicle Morgan was traveling in at a speed of approximately 65 mph, it’s almost surprising that more lives weren’t lost as a result. News reports have indicated that Wal-Mart had equipped the tractor trailer with a series of advanced technological tools to help improve safety for its drivers and prevent collisions. Wal-Mart officials have stated that the features included forward-looking radar, interactive cruise control, blind spot sensors, and even a computer system that limited the truck’s speed to 65 mph. Sadly, none of these features managed to help prevent this tragic collision, which naturally has experts wondering exactly how effective this technology is. Perhaps one of the most important factors will be whether a lack of rest was a major contributing factor in the crash, as police have already publicly stated that the driver had not slept in 24 hours. Roper is currently facing vehicular homicide charges, as well as several counts of vehicular assault. The investigation is ongoing, and a rash of additional fatal truck crashes across the United States has raised more questions about overall safety in the trucking industry. “The NTSB is focusing on broader issues concerning commercial truck safety, such as vehicle maintenance, medical qualifications, drug and alcohol testing of drivers, driver fatigue, equipment and technology,” said Keith Holloway, spokesman for the NTSB. 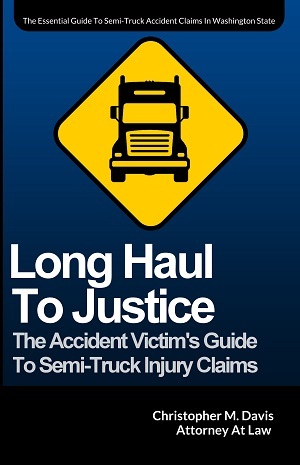 Wal-Mart began installing the collision avoidance features on its semi trucks in 2010, and company officials have declined to comment on details surround the collision at this point.